All Trophy Club Village West homes currently listed for sale in Trophy Club as of 04/21/2019 are shown below. You can change the search criteria at any time by pressing the 'Change Search' button below. "Its finally here, the PERFECT home in Trophy Club! One story, HUGE lot, private backyard, nightscaping, new roof, new triple pane windows, NO HOA, custom fixtures, stunning flooring and all the updates you could ask for! As you step into this beautiful home, you are greeted with soaring ceilings, and a office or flex room. The living area is open to the kitchen that boast stainless steal appliances and granite. The spacious master is complimented by an oasis of a bathroom and dream closet. Two a"
"Completely redone split level home in established Trophy Club neighborhood. Minutes away from Trophy Club baseball fields and pools. 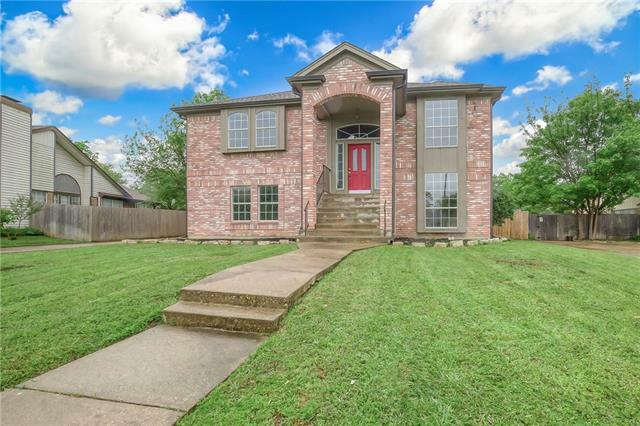 Walking distance to elementary school and minutes from Byron Nelson."